Tomas Eduardo Rincon Hernandez took his chance to impress the Hamburg bosses when he joined them on loan from Deportivo Táchira in his native Venezuela in 2009, and his career has continued to flourish since. The midfielder arrived with a point to prove, and one year to do it. Under Martin Jol, he laid the foundations for a career in the Bundesliga, before convincing the Dutch coach's successor, Bruno Labbadia, to invest in him. "Tomas has a top attitude. We are pleased that we have been able to sign him and we are convinced that he will improve further with us," said the tactician. Labbadia made Rincon's initial one-year loan deal permanent at the end of 2009 and his prediction has proven to be accurate too. 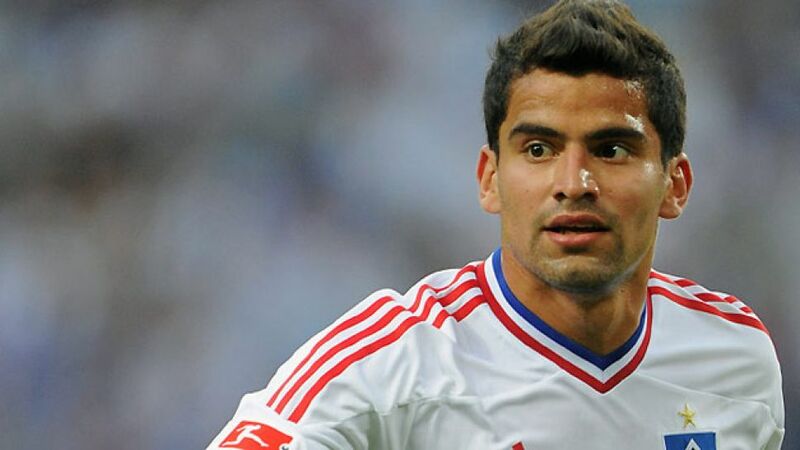 Two years later, "El General", as the Venezuelan is nicknamed, became a regular in the HSV starting XI. "The HSV-General is getting better and better," titled the local Morgenpost newspaper towards the end of the 2011/12 campaign when, under the eyes of his national team coach, he put in "yet another magical performance". Such performances helped Hamburg avoid the drop that season, and despite sucessive managerial changes at the Northern giants, Rincon, when fit, has remained a constant in the centre of midfield. He made 20 appearances in 2012/13 as Hamburg almost qualified for Europe, but suffered a head injury in September 2013 which limited his end-of-year involvement.